The first widespread release of the Espinosa Wasabi, the company’s box-pressed candela, is about to happen. Today company owner Erik Espinosa announced on his social media pages that the Wasabi will begin shipping to its retail clients this week. 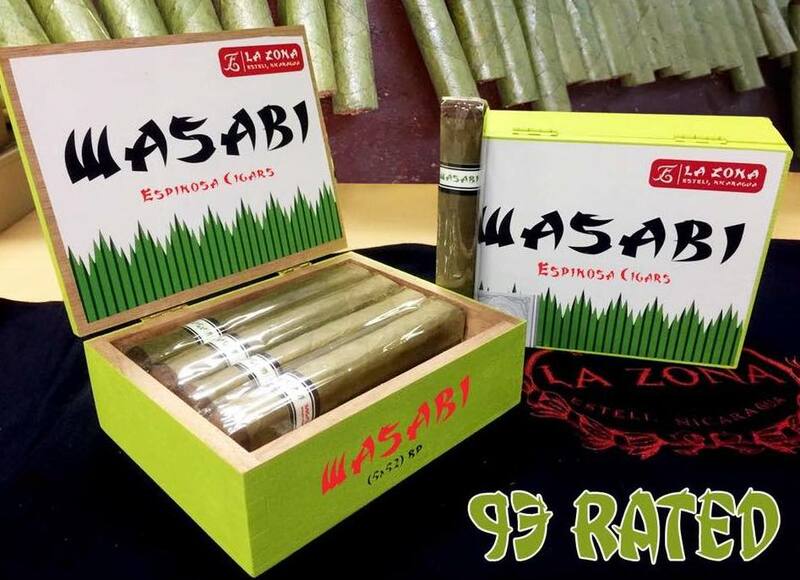 The Espinosa Wasabi originally had a limited release as a part of the company’s Backroom Series, a series of cigars for Espinosa-branded lounges. Earlier this year, the company announced it was making a limited 500 box run of the Wasabi for its retail customers. The 5 1/2.x 52 box-pressed robusto will be available in ten-count boxes and priced at $7.95 per cigar.